Advisor passionate about participant outcomes increases participation from 28% to 80% with an educational approach utilizing third-party custom allocation models, a written education curriculum, education meetings, and a matrix to review. 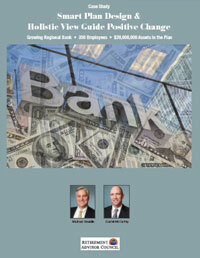 Clients of this advisory group receive the same level of attention regardless of size. The situation can be complicated for colleges when faculty and staff have deep loyalty to a service provider that is overdue for benchmarking and re-pricing. After establishing a prudent decision-making process, a University plan realized cost savings, enhanced communications, and improved retirement readiness without changing service providers. 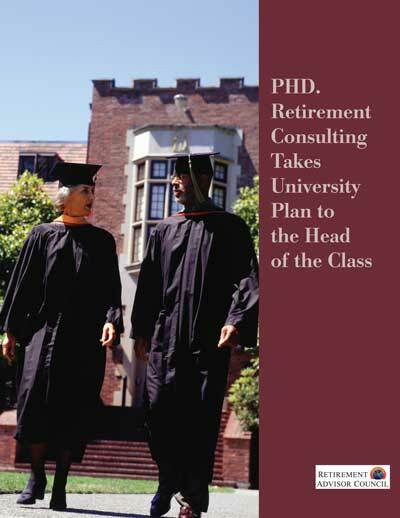 Within one year of hiring PHD Retirement Consulting, the institution saw participation rises from 85% to 97%, and average savings rate from 5% to nearly 8.5%. More than two-thirds of participants use a professionally-managed target-date fund (compared to just 9% before), and overall plan fees dropped from 88 basis points to 56 basis points even after adding the cost of an advisor.. 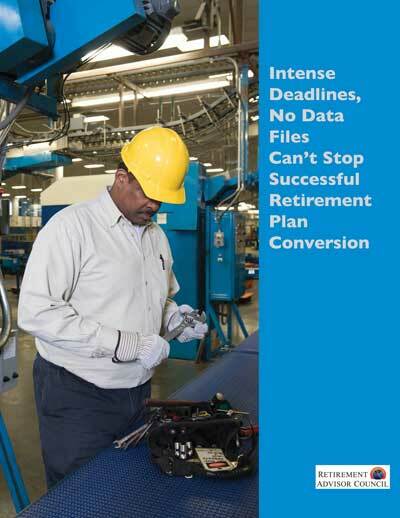 Despite intense deadlines, no data files, and a lack of cooperation from exiting employee, Bob Clark and his team at Marsh & McLennan Agency-New England coordinated the seamless transition of a large manufacturing firm’s retirement plan—as well its medical, dental, vision, disability, and other benefits—to deliver lower plan costs and increased retirement plan participation. A mechanical contracting business saw significant growth in its retirement plan after Tom Hoffman of KAF Financial Advisors convinced the company to add a Prevailing Wage retirement savings component. Before teaming with Hoffman and KAF, the client’s 401(k) plan had just 21% of employees contributing; assets were just $350,000. 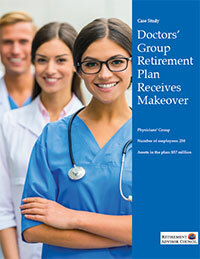 Today, participation stands at 92% while plan assets have grown 928% to $3.6 million. The business is now operating a stronger company—one that attracts and retains quality workers— thanks in part to Hoffman’s insight on the benefits of the Prevailing Wage component. 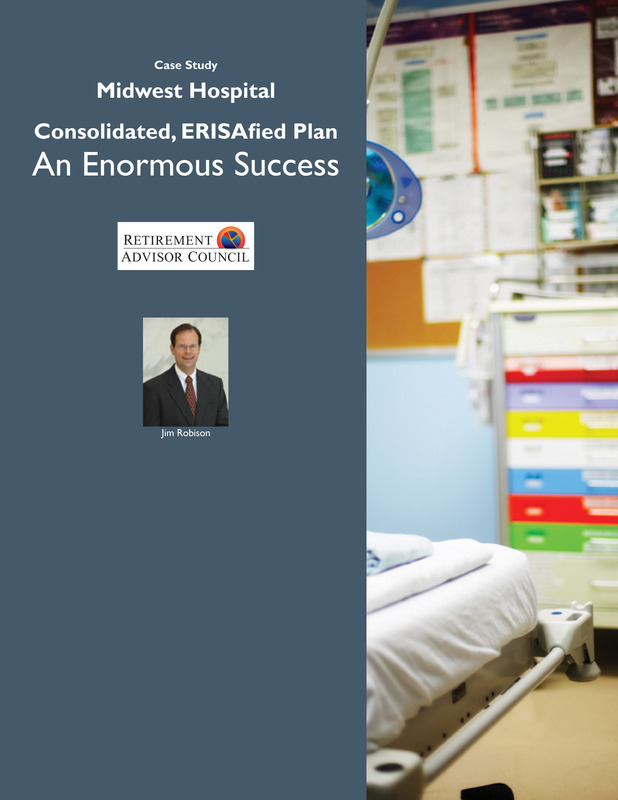 A mid-sized doctors’ group solved a host of compliance issues with the help of a SWAT team including the plan’s ERISA attorney, a Retirement Plan Third Party Administrator (TPA), and Advisory Firm Strategic Retirement Partners. The plan leverage the Voluntary Correction Program of the IRS, and successfully emerged from a U.S. Department of Labor audit. Plan assets have grown 88% in 2.5 years, investment arrays have been overhauled and simplified, target date fund utilization increased, and the plan now follows a formal oversight process. 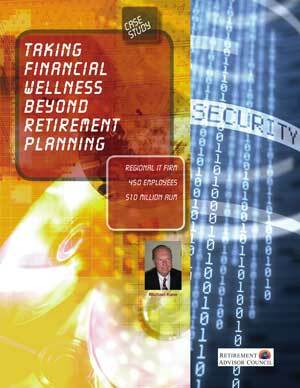 A successful IT firm with 450 employees, most under the age of 35 implements a comprehensive program including education, budgeting for retirement savings, and debt management thanks to Retirement Plan Advisor Mike Kane of Plan Sponsor Consultants. 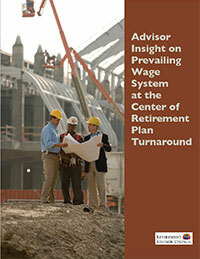 Participation jumps from 63% to 92%, average employee contribution increases from 4.2% to 8.7% of pay. 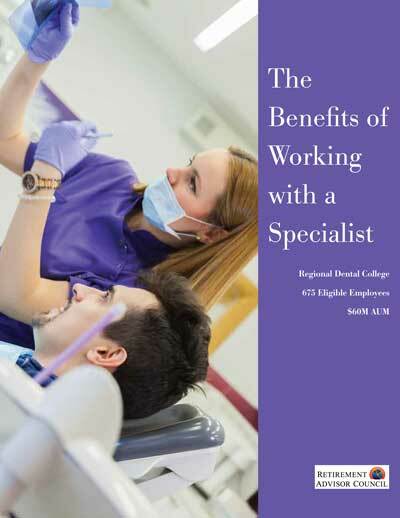 A respected dental college in the Northeast with a generous 9% employer contribution more than doubles average employee contribution rate with plan analytics, support, vendor selection, educational campaign themes, and quarterly on-side education visits. 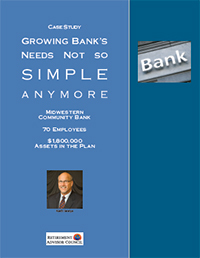 A growing community bank had outgrown its SIMPLE plan, which limited annual deferrals and lacked flexibility to meet the distinct needs of base-level employees, key personnel and owners. An overhaul was needed to continue offering a competitive, cost-efficient and tax advantaged plan that could meet the needs of all employees. 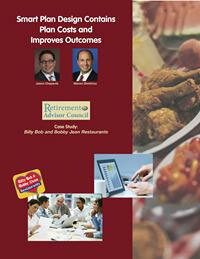 Quantitative research has shown partnering with a professional retirement plan advisor helps retirement plan sponsors achieve better results in several ways: Better plan design and plan arrays, increased confidence in plan compliance and investment options, superior understanding of fiduciary issues, better overall asset allocation among plan participants, improved participant retirement outcomes. This healthcare organization is now able to leverage a retirement benefits package employees appreciate to compete for medical field talent in the labor market. 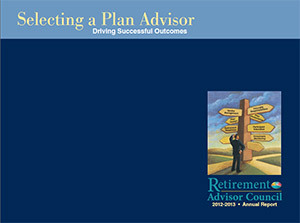 Plan sponsors must continually balance the dual objectives of helping plan participants prepare financially for retirement and properly managing a fixed benefits budget within the constraints of fiduciary responsibility. 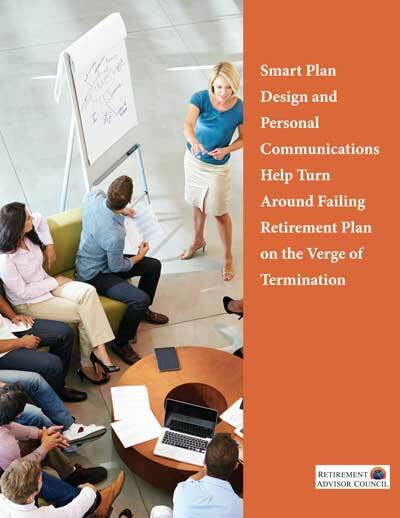 Working closely with their Advisors, sponsors may be able to make strategic modifications in plan design that result in both improved retirement readiness for participants and reduced plan costs.